What Are Your Top Five Favorite Romance Novels of All Time? 1. Stardust of Yesterday by Lynn Kurland – At one time in my late 20’s, shortly after I married, I (stupidly) decided my romances should go. And so I gave all of them to the public library. All except this one. I just couldn’t bear to part with this book. It’s a time-traveling ghost story full of sweet, sweet romance. What’s not to love? 3. 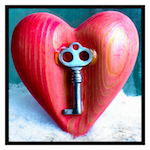 The Secret Pearl – by Mary Balogh. Ah. I rediscovered this one a few years ago; once I began it I realized, with great delight, it was one I’d read years ago (hey, I have a really cruddy memory) and relished – but since I’d forgotten the title and the author, I didn’t think I’d ever find it again. Two scarred souls and the absolute brilliance in writing in terms of expressing deep emotional depth in and between the characters draws me back to this one again and again. 4. Sweet Love Survive – Susan Johnson. O.K., to be honest, I don’t remember the story much; Russian historicals don’t seem to be among my favorites for some reason. But once my passion (hee hee) for romances picked up again, I immediately searched for this one. Because what I DID remember were the scorching love scenes, especially for a romance from the 90s. So when I’m looking for more erotica-flavored romance, I often look to Susan Johnson. 5. Let Me Be The One – Jo Goodman. The Compass Club. I loved the Compass Club – the four men whose stories Jo Goodman told over a series of four books. But of all of them, this one is probably my favorite. I especially loved the hero, North. Now that I’ve listed it here, I think I’ll go dig it up again! 6. Twice Loved – LaVyrle Spencer. O.K., yes, I cheated. I went past 5. But I love, love, love LaVyrle Spencer, and she was one of the authors in the 1980s of whose books I just couldn’t get enough. I could list about any title here and have it be a favorite, but I remember this one with special fondness. If you don’t know Spencer, I urge you to read her. Let me know what you think. I could, of course, list a zillion more authors. My favorites from my early years of reading romances included Catherine Coulter, Johanna Lindsey, Phoebe Conn, Constance O’Day Flannery, and the above-mentioned LaVyrle Spencer. Christina Dodd, Lisa Kleypas, Betina Krahn, Teresa Medeiros, Laura Kinsale. Oh yeah. I took a leave-of-absence from romances for the most part when my kids were very young, but my love for and addiction to the genre was reawakened when I discovered Julia Quinn. And then Eloisa James. And then Sabrina Jeffries. Now I have probably 200 (not kidding) unread romances sitting on my shelf, waiting to delight me with their tales of lust and troubles and ever-lasting love, including new authors I have yet to experience. So many, many books. So not enough time. If you have to winnow it down to YOUR five (or six) these-can’t-be-missed romance novels, which would you choose? This entry was posted in All About Romance and tagged favorite romance novels, jo goodman, jude devereaux, lavyrle spencer, lynn kurland, mary balogh, romance, susan johnson by Margaret. Bookmark the permalink. Also, there’s an internet meme going around, a major award if you will, and I’ve nominated you for it. Congratulations? Hi Emma – Thanks for your answers; I look forward to finding the novels you mentioned and checking them out for myself. The meme looks fun; I shall try to complete it tomorrow (I’m home with kids today and nothing is getting accomplished!). Thanks for reading! Seriously, we need to be friends. 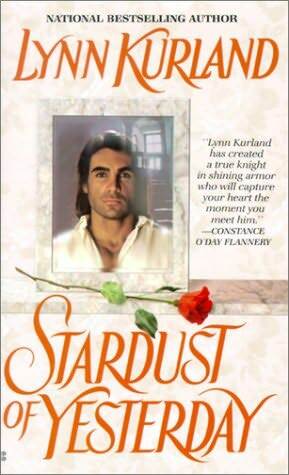 Knight in Shining Armor got me hooked on time travel, Stardust got me hooked on Lynn Kurland. My next go-to book is What Happens in London by Julia Quinn, it’s hilarious. If your book can be hot and funny, that’s worth a lot. The book that has stayed with me the longest — as in I didn’t want to start another book because I needed to savor this one longer — Flowers from the Storm by Laura Kinsale. And I’ll pretty much read and love anything Carla Kelly has written, but Marrying the Royal Marine is an all-time favorite. I do want to plead jealousy in your college major. I LOVE Julia Quinn – she’s who got me back into romance after a few years’ hiatus! And yes, I also remember Flowers from the Storm. I’ve read a lot of Laura Kinsale, but that one is quite powerful. I will look into Carla Kelly! And yes, I’m becoming more convinced we are evil twins.